As we stepped off the plane at Hurghada airport in Egypt, a hot wind hit us full in the face. Imagine the heat that comes from beneath your car when you step out of it on a boiling hot day and you will have some idea of what I’m talking about. 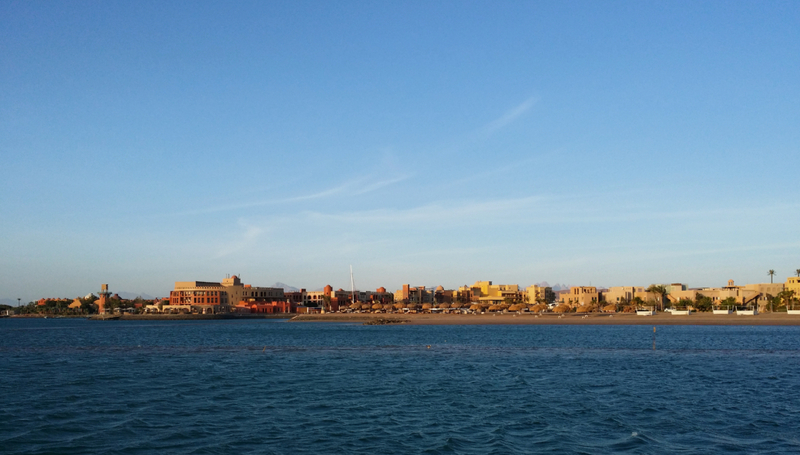 El Gouna, which is where the Predator 53 called Skyfall lived, was only a half hour drive away and it wasn’t long before we were ensconced in our rooms. 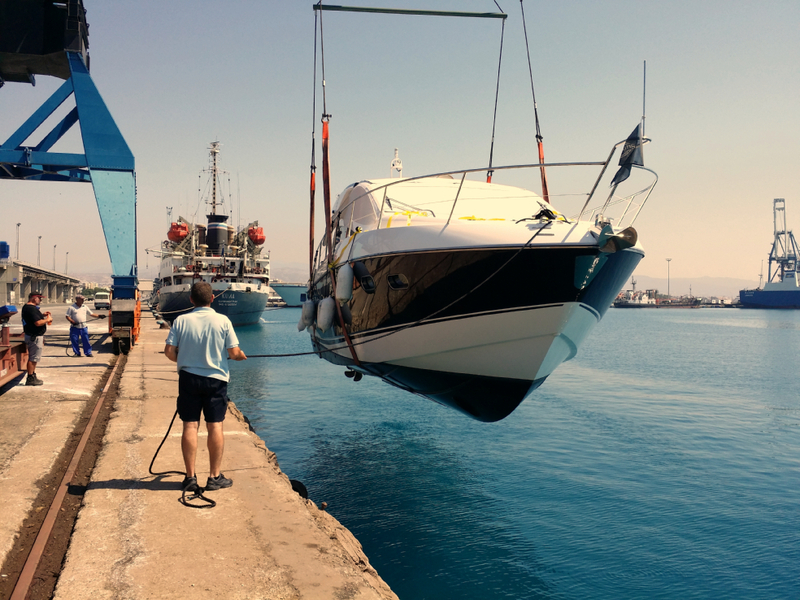 The weather played a huge part in our quest to get this boat to Cyprus too. Our first attempt was thwarted by some huge waves, which bore no relation to the amount of wind. Admittedly, it was gusting over 30 knots but these waves were massive. After 30 miles of determined but very slow progress we had to accept the fact that returning to El Gouna was our only option. There is definitely a lesson to be learned here. Boating is not a good way to show off how ‘manly’ you are. If the conditions are too bad then turn the boat around and go back, this is the most intelligent thing to do. Fortunately, our second attempt proved to be more successful but not without it’s own troubles, I would add. Again, we had massive waves, which also were far bigger than the wind would normally cause. Nevertheless, we plodded on, falling off wave after wave even at the very conservative speed of 6 knots that we were forced to run at. This time, however, we had smartened up and managed to find a ship to hide behind. Once we were in his wake the journey was much easier and we were now able to make 11 knots. 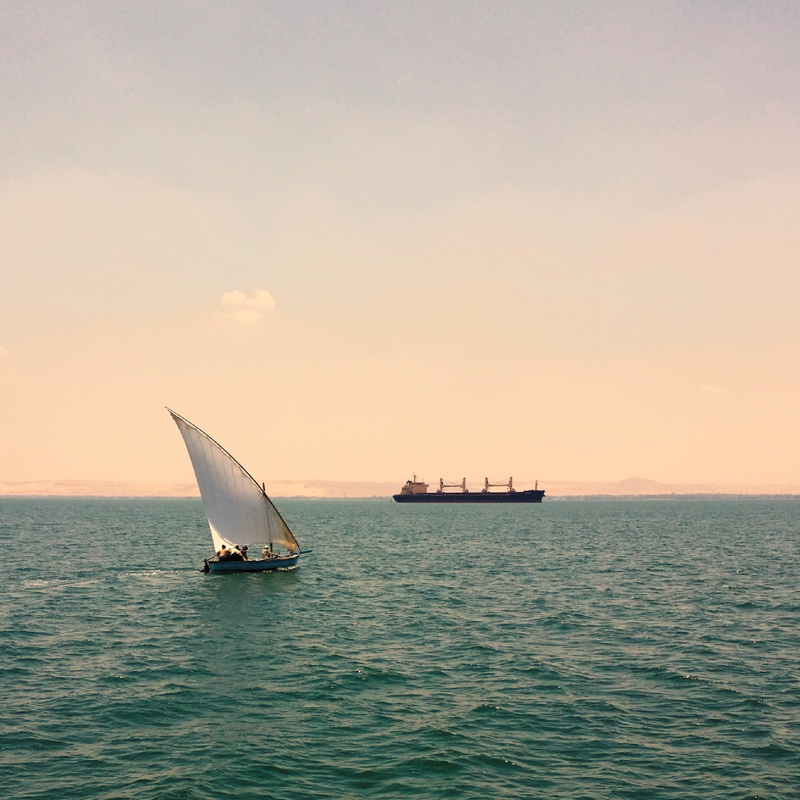 The trip from El Gouna to Port Suez is 160nm. Yep, that’s 16 hours at the speed we were travelling at! We desperately, needed a faster ship to follow if were to avoid spending a huge chunk of our lives looking at the stern of a not very pretty ship. We all breathed a huge sigh of relief when, in the distance, we spotted a tiny speck that gradually got bigger and bigger. This was the answer to our prayers, a large ship catching us up meant that we could ‘jump ship’ and tuck in behind a faster vessel. I took a picture and by zooming in could see the name of this ship, ‘Atlas Leader’. Then I was able to call them up on the VHF, requesting permission to sit on their tail. At this point, I would like to say a huge thank you to the Captain of Atlas Leader out of Tokyo who, bless him, even offered to slow down and come across to us. If it wasn’t for this man’s generosity, I reckon we would still be trying to get to Port Suez behind that other vessel (OK, slight exaggeration, but you know what I mean). Finally, at around 8pm that evening, just as it had gone dark, we made our way up the channel that leads to the Canal and into the marina in which we were to stay overnight. A very enthusiastic man came out to us and guided us in to our berth and then proceeded to fuel us up from his boat which was berthed on the opposite pontoon. 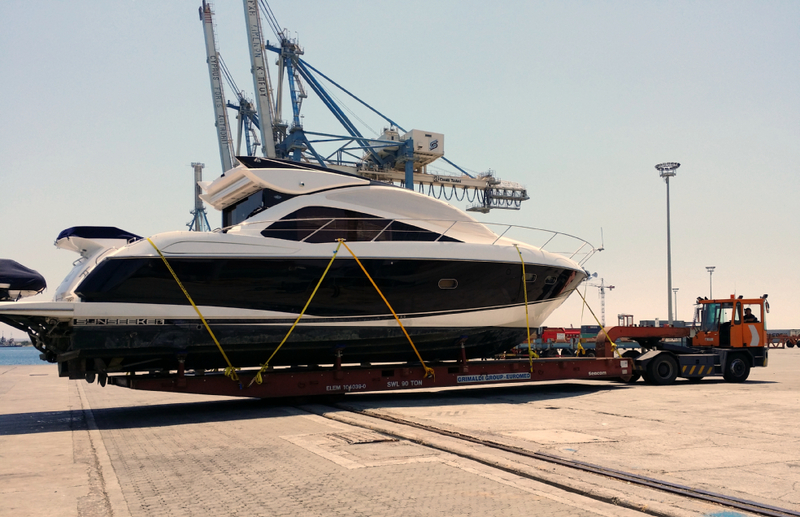 Not your average fuel barge this one – more of a cabin cruiser with the guts taken out and a huge fuel tank inserted in their place. It wasn’t until the following morning that I noticed the two large, grey plastic pipes poking out of the cockpit sole at a jaunty angle – enterprising lot, these Egyptians. 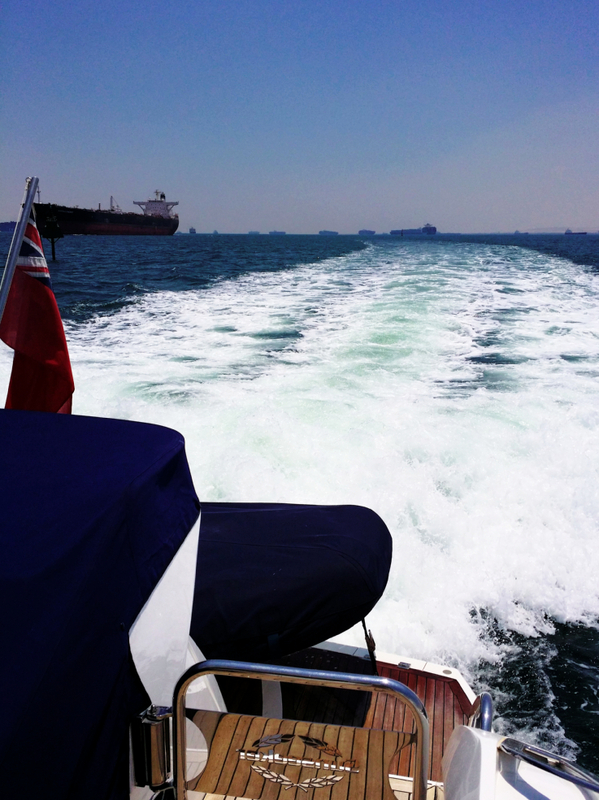 Skyfall in Port Suez – can you see the grey tubes poking skywards on the ‘fuel barge’ behind us? Trying to get to the midpoint before 13:00 – yikes! As it happened, the second pilot was much more sensible and the last leg of the Canal was made at a much more sensible 10 knots. There was even time to look at the scenery and snap some shots of other Canal users too. 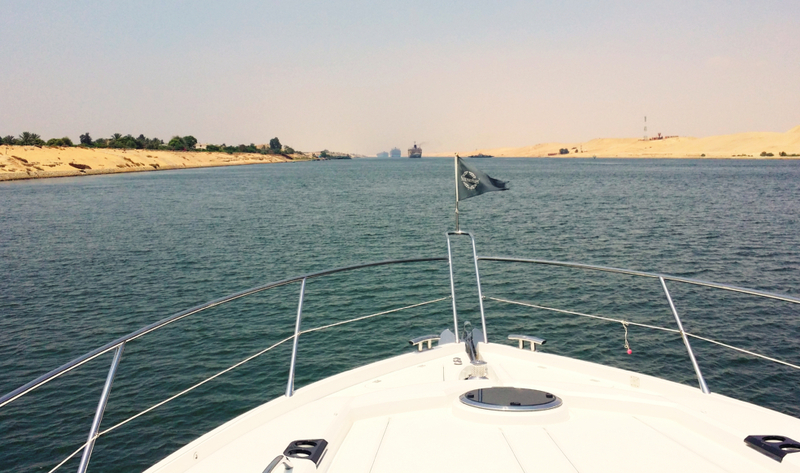 For those of you who have not transited the Suez Canal, it is quite a broad stretch of water, with a couple of areas that open out, around the middle section, one of which appears to be like a rather large lake. Lots of huge freighters and tankers loiter here whilst waiting to make the next leg. It was quite something to see all these massive ships congregating like this. There was a very noticeable military presence along the canal and a number of areas set up with what appeared to be floating bridges ready to launch at a moments notice. I guess this is a hugely important conduit from the Med to the Red Sea and a massive asset to the Egyptian nation, hence the fact that it is so closely guarded. My heart went out to the poor guys standing sentry duty in little concrete huts, spaced regularly along the length of the Canal – they must have been quite miserable standing with their weapons across their chests in this most mercilessly hot environment. With the exception of guards and a few outposts along the route, there seemed to be nothing except mile after mile of desert, stretching away from both sides of the waterway – these must be very special people to live in an environment such as this. 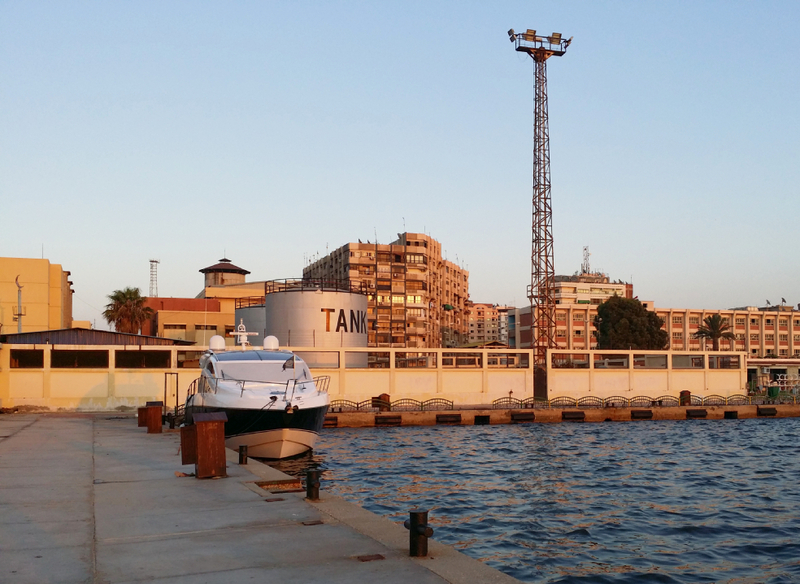 Finally, we made it to Port Said just as the sun was setting. Our berth, euphemistically called ‘The Yacht Club’ was a ghastly place, in which we bounced up and down all night. Huge rubber bumpers all along the dock walls were clearly designed for much larger and heavier built vessels than ourselves. 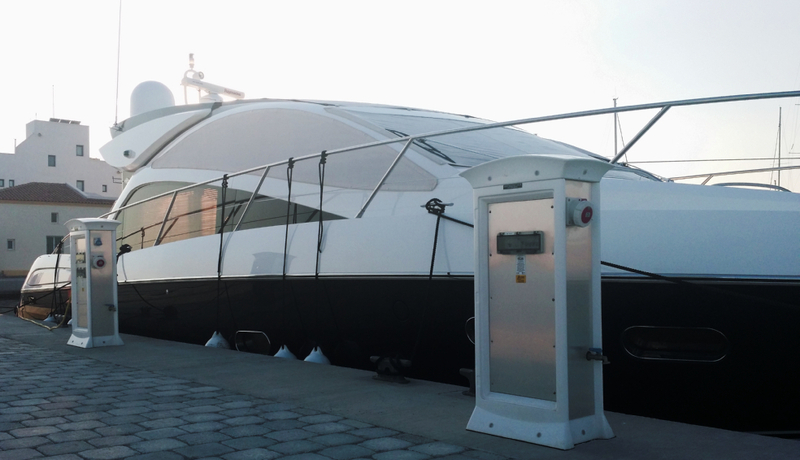 The fenders I placed to protect the boat from the bumpers, were black as soot in the morning! The fuel barge arrived just after 8pm. As a special treat for us, they had liberally painted the hose with old diesel – lovely! Guess what? Yes, these guys had dry palms too!!! The next day, we were up early and after getting permission to depart, we were on our way by about 6am. We bimbled out of the port at 6 knots and then once clear opened her up. 200 nm lay ahead of us and we had enough fuel to do 220 nm if we took it steady. 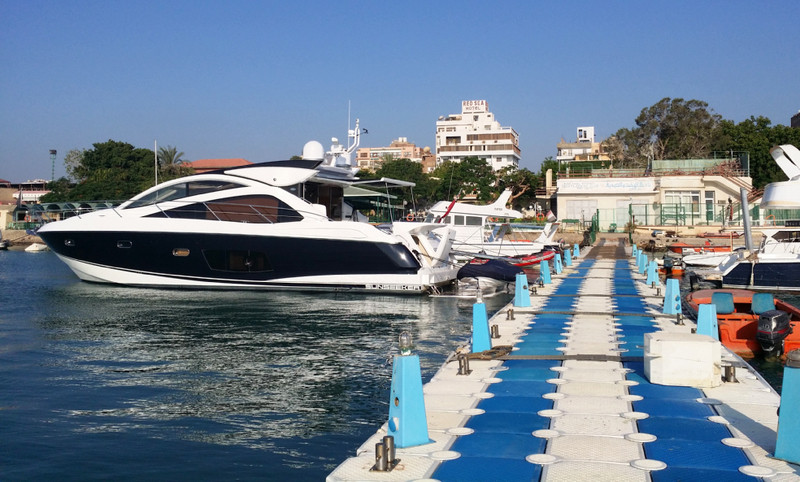 So, I set the throttles for 170 litres per hour, which gave us an average of 20 knots and at 4pm, almost to the minute, we arrived at Limassol. I would caution against making a trip like that with so little reserve, unless you know precisely what weather conditions you are going to get and that these conditions are perfect and also that you are completely certain that the fuel consumption and available fuel is exactly as anticipated. 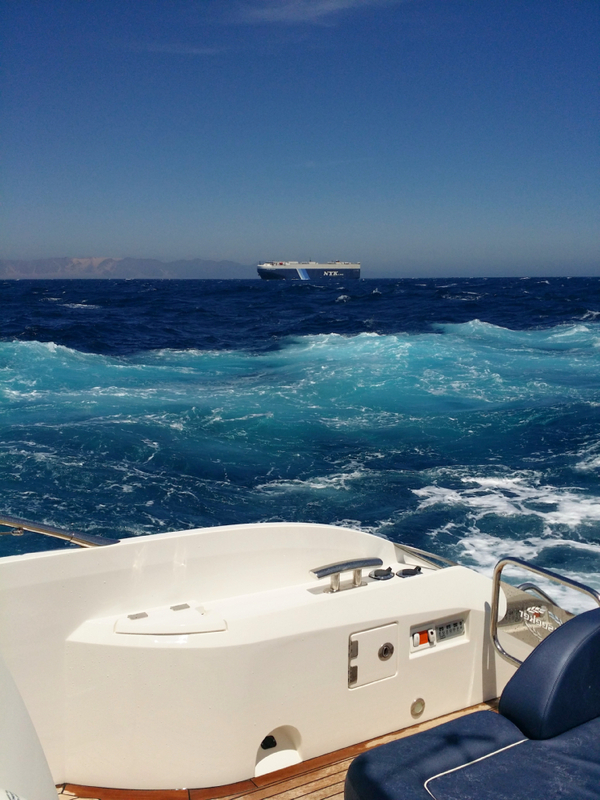 The next day was consumed with more paperwork, Greek style, and preparations for getting to the dock and getting the boat onto a ship. Once out of the water and tied to the trailer, my work was done. All that was left for me to do now was fly home… oh, and put some more cream on the blasted mosquito bites!